Fox News, accompanied by a flurry of right-wing media organizations, took remarks made by Jim Acosta, CNN's chief White House correspondent, out of context on Wednesday to suggest he was disparaging the intellectual prowess of President Trump's supporters. Speaking to Variety magazine about what it's like to cover the Trump White House, Acosta commented on the threats journalists doing so often face. He remarked that individuals who might send such threats to reporters "don't know" that the "fake news" attacks from Trump and his allies are "an act." "They don't have all their faculties in some cases, their elevator might not hit all floors," Acosta said. "My concern is that a journalist is going to be hurt one of these days. Somebody's going to get hurt." But Fox News and other pro-Trump media organizations twisted Acosta's comments to suggest he was saying Trump voters are not smart. On "Fox & Friends," the highest-rated morning news program on cable news, which the president frequently watches, the chyron at the bottom of the screen read, "ACOSTA: TRUMP VOTERS CAN'T GRASP HIS ACT." When the program aired a clip of Acosta's remarks, it conveniently stopped playing immediately before he spoke directly of the possibility of journalists getting hurt. Throughout the morning, the "Fox & Friends" hosts ridiculed Acosta. Steve Doocy said that what Acosta was saying is that "the people who voted for [Trump] are crazy." Ainsley Earhardt said Acosta had said Trump voters "don't have their faculties." And Fox News contributor Tomi Lahren said Acosta's remarks were an example of "the leftist mainstream media insulting Trump voters" and calling them "stupid." Over on Fox Business, the sister station of Fox News, host Stuart Varney questioned how Acosta can continue to perform his job: "Can he cover the White House with an opinion like that?" he asked. Sean Spicer, the former White House secretary, also used the out-of-context remark to slam Acosta. Spicer said on "Fox & Friends" that for Acosta to "frankly make fun of and ridicule people around this country is really sad." Acosta responded to the misleading media coverage on Twitter, where he wrote that his comments had been "twisted by some outlets. "As you can plainly see, I'm not referring to Trump supporters," Acosta said, including a link to the video and transcript of his remarks in his tweet. "I am talking about people who threaten journalists." Neither Spicer nor spokespeople for Fox News and Fox Business immediately responded to requests for comment. A spokesperson for CNN declined to comment beyond Acosta's tweet. 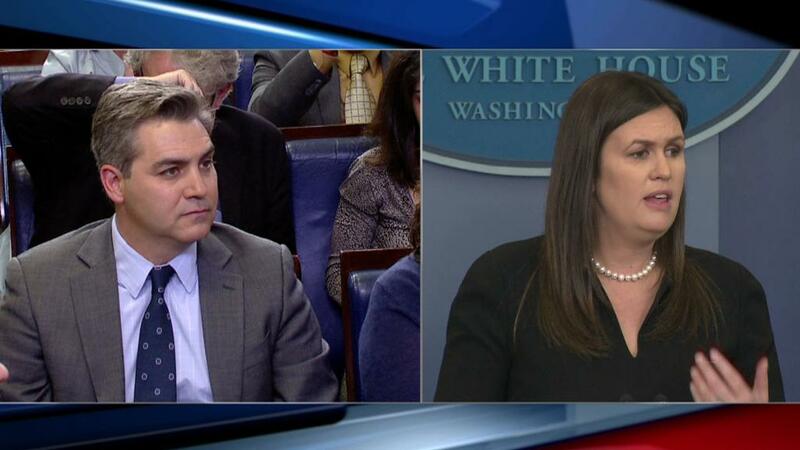 Fox was not alone in its coverage of Acosta's comments. A number of other media organizations on the right published similar stories. Acosta has been a frequent target of Trump and his allies. In an August 2017 exchange, the president clashed with Acosta, rejecting his request to ask questions and calling him "fake news." Correction: This story originally referred to Peter Doocy, who is a reporter with Fox News, instead of his father, Steve Doocy, who is a co-host of the network's morning show.